My life is no longer a giant cloud of possibilities…so how do I make sure it’s all worth it? 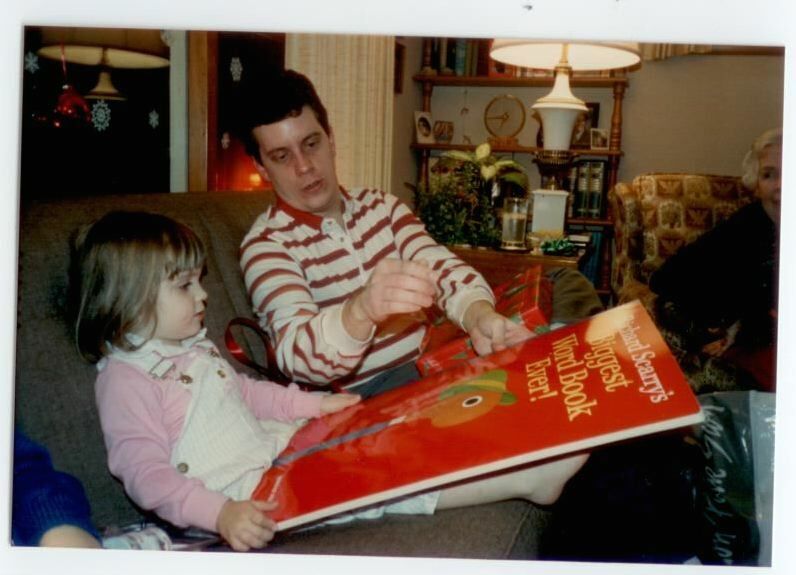 Me and my dad, and a big Scarry book. I never used to make New Year’s resolutions until I moved to San Francisco, away from home. Now I go back for a week or two over Christmas, and when I return, everything feels new and different and refreshed–maybe it has to do with being 40 degrees warmer? I don’t know. But it’s the perfect time to declare a change. So I started making New Year’s resolutions. Like everyone else, I’ve stuck to some and I never started others. I resolved to read more during my commute, and I did. I resolved to cook one new recipe a week, and I didn’t. New Year’s resolutions are now one of my favorite parts of the holidays. The list-making, the hope, the determination to rise up above your guilt, the decision to be better instead of resigning to sameness. And I think I have a really good resolution for this year: I’m going to write a book. This notion of worth, which seems to be everywhere lately, from Radiolab podcasts to mustachioed woodworking actors, has me thinking about what it means to live a life that’s worth it to me. When I was young, nothing was totally off the table. I had been told my whole life that “anything is possible” and “never say never” and “you can be whatever you want if you put your mind to it” (so please stop blaming Millennials for this mindset…we’re just doing what we’re told.) I knew I had time to change my mind, and if I suddenly decided to become an opera singer, I could grab the nearest Viking hat and set off. I allowed my future to be a giant formless cloud of possibilities. But it’s time I came clean with myself: some things just aren’t going to happen. I’m not going to be a movie actress, because I have no plans toward taking acting lessons or moving to LA or auditioning for roles. And since no one actually gets discovered in grocery stores while singing along to the loudspeaker music (don’t care, still doing it), I’m not going to act with Meryl, I’m not going to thank her in my Oscar acceptance speech, she’s not going to blow a loving two-handed kiss to me from her seat when I look down at her with tears in my eyes, and she has tears, too, because she’s come to see me as a daughter-figure, and she’s just so proud of me. It won’t happen. And that’s okay. Because life is no longer about all the possibilities. I whittled those down for myself, just like everyone in the world does, because no one can really do ALL the things, not even Beyonce (oh I said it. Come and get me, Beygency). It’s no longer about all the possibilities happening some time in the future, it’s about my possibilities, the ones I haven’t whittled down, that could happen now. Maybe I’m having all these thoughts because I turned 30 and I can already feel my frail, decrepit body crumbling around me. Maybe it’s because I have a coworker who keeps saying she expects me to do something big (I’m starting to suspect she’s in cahoots with my parents and their friends). Maybe it’s because I want to have a kid someday, and according to everyone in the universe, I won’t have free time after that happens. Maybe it’s because of the New Year, and the air of possibilities. Or maybe it’s because, more clearly than ever, I can see my way forward. I can see the things that I want to do that make me feel like my best self. 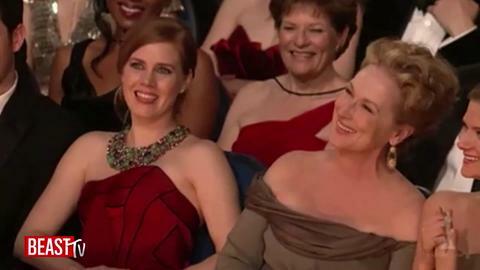 If I’m not going to win an Oscar, then what am I going to do? Writing a book is something I always saw in my future, but I’ve never taken steps toward doing it. It’s always been a “one day I’ll do that” thing. But, while I don’t have to win an Oscar to declare a worthwhile life, I do feel like I need to write a book. So all that free time I guess I have, long coveted by new parents and grad students everywhere, which I often spend writing here, will now go toward writing a book. A Young Adult book, to be specific, with a funny female protagonist. That’s all I’ve got. So far so good, I think. Probably should watch 10 seasons of Friends to celebrate my hard work. Will the book be good? No idea. Will it even get published? Not likely, from what I hear. Do I still envision the New York Times knocking down my door with their bestseller lists and my adoring fans begging me to write the sequel? Obviously. While I focus my typing fingers on that endeavor, I hope you’ll forgive any lull. I’m not sure what will happen. I imagine I’ll keep writing here, if I find myself with something extra to say. But while I’m taking stock of my life and what I want it to become, I have one clear thing standing in my way, and it appears I need to write myself through it. This entry was tagged advertising, creativity, writing. Bookmark the permalink.